The project is more about creating our professional learning systems, than it is about actual workshops, trainings, coaching, etc. The project started with looking at supporting teachers with technology integration (leveraging technology for learning), but we knew we needed a similar system for our around Customized Learning. Recent developments have increased Customized Learning as a priority, but we are continuing to put as much attention into the technology for learning piece – both as a subset of the Customized Learning work, but also to support the folks who are primarily interested in the technology professional learning. We have just shared a draft professional curriculum grid for Technology for Learning and a draft professional curriculum grid for Customized Learning. Each is only a partial grid outlining the Measurement Topics and steps or learning progressions within each Strand. By partial, we mean incomplete, but we have shared them hoping that others will collaborate with us to complete them. This entry was posted in Customized Learning, Professional Development, Technology Policies and Leadership and tagged Distributed PD on September 14, 2014 by Mike Muir. Lisa Nielsen writes that New York City has reached out to students, teachers and parents with social media guidelines. More in the article including links the the NYC resources. This entry was posted in Technology as Tool For Learning, Technology Policies and Leadership and tagged Banning (tech), Social Media on December 30, 2013 by Mike Muir. Maine has long had the first (and, unfortunately, only) 1to1 learning with technology initiative: MLTI. The MLTI contract was up for renewal this year, and, for the first time, Maine is allowing each district to choose from 5 finalist proposals, producing a lot of conversation about the choices and how to choose. Schools Have MLTI Choice, But Compare the Solutions! What did Auburn Choose for MLTI and Why? Is the iPad a Viable Choice for the High School? 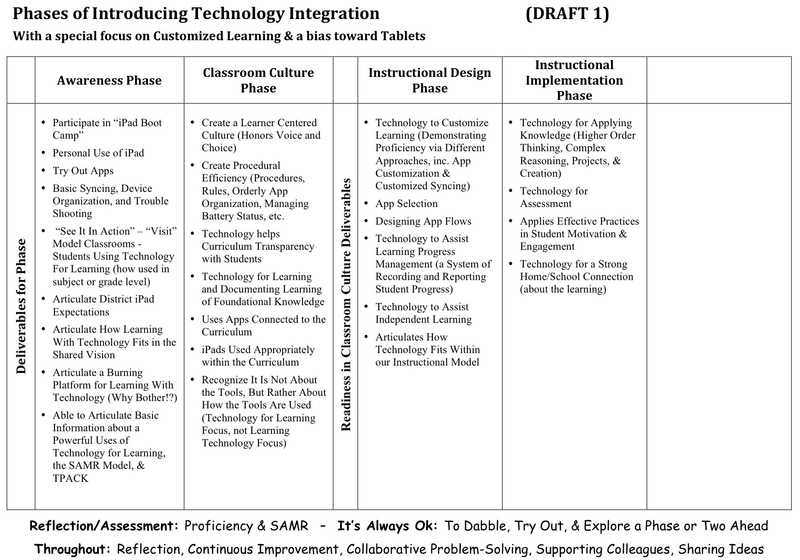 This entry was posted in Doing 1to1 Right, Leadership, Learning as Desired Outcome, Technology as Tool For Learning, Technology for Learning, Technology Policies and Leadership and tagged Aubschl, Auburn, iPad, MLTI on May 2, 2013 by Mike Muir.